Keeping up with all aspects of the Health and Safety at work legislation is important for all businesses. Part of this is the provision of First Aid. There is a responsibility to appoint a designated first-aider or a least an appointed person to undertake the role of first aid arrangements such as completing medical records, calling for help and supplying information within a place of work. So, designated members of the ESE team, Jason and Debs, headed off for their first aid training at Norfolk Safety CIC. The day of training was expertly presented by Norfolk Fire and Rescue Service’s Ken. 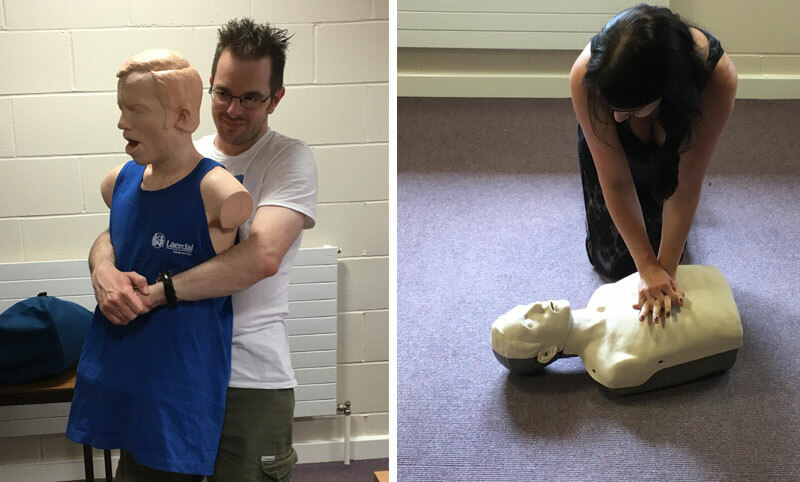 The pair were trained to be competent in administering CPR and the use of a defibrillator, along with assessing which treatment to give to patients depending on their signs and symptoms. Alongside the theory and practical based training, they were given a very warm welcome by staff and the resident fire fighters at the Bowthorpe Training and Development Centre in Norwich. Jason particularly enjoyed a hearty steak and ale pie in the canteen. Well, it’s important to keep your strength up, all that CPR is physical work! You can find more information about health and safety legislation on the government website. For first aid supplies check out the first aid kits and supplies section at ESE Direct.